1. Confederate Generals in the Western Theater, Vol. 3: Essays on America's Civil War edited by Lawrence Lee Hewitt and Arthur W. Bergeron, Jr. (Univ of Tenn Pr, 2011). This new The Western Theater in the Civil War series volume is comprised of ten original essays from subject experts. Like the other two books, A.S. Johnston and Beauregard appear again, with the rest of the chapters covering a mixture of other well known and lesser well known general officers -- Leonidas Polk, S.B. Buckner, Martin L. Smith, Daniel W. Adams [from Jane], William Preston, Joseph Finegan, S.D. Lee, and Hiram Granbury. 2. Dear Friend Amelia, the Civil War Letters of Private John Tidd (Six Mile Creek Pr, 2011). Tidd was a private in the 109th New York and this book contains several dozen of his letters, which were discovered in several locations. The book also has its own website. "An Illustrated Guide to Virginia's Confederate Monuments"
Perhaps in anticipation of a hoped for uptick in local historical site visitation inspired by the Civil War Sesquicentennial, a number of well produced guide books have appeared in recent months and years. 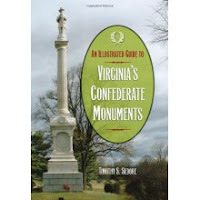 The latest is Timothy Sedore's An Illustrated Guide to Virginia's Confederate Monuments (SIU Press, 2011). The book documents 360 outdoor monument sites and organizes them geographically into five regions. Inside its covers one finds a great variety of memorials, from the ubiquitous courthouse statuary and battlefield tablets to sculptures, plaques, obelisks, columns, and cemetery shafts. Omitted for obvious reasons of scale are individual gravesites, but a conscious decision was also made to leave off state roadside markers and modern private and state sponsored heritage markers like those from the Civil War Preservation Trust (now Civil War Trust) and Virginia Civil War Trails. In terms of supporting text, Sedore begins the book with a useful introduction that explains the author's selection methodology. It also provides brief historical overviews pertaining to the various memorial traditions, ceremonies, and period design and inscription conventions. Each monument entry is accompanied by a black and white photograph. Also included is its physical address [alas, no GPS coordinates], a full transcription of the memorial inscription, and listings of monument type, construction date, and medium/media used. Short background histories of persons and/or events associated with the monument are presented for most sites, along with corrective notes as needed. On the downside, some readers will lament the lack of supporting documentation for the informational claims made in the text*. Many of the monument photographs are also a bit indistinct and quite small in size, a situation undoubtedly necessitated in part by the layout of the book. Minor flaws aside, An Illustrated Guide to Virginia's Confederate Monuments is a very useful photographic register and historical guide to the Old Dominion's Confederate monuments. * - The author does offer a bibliography, hosted by the Southern Illinois University Press website [www.siupress.com]. George Crook is best known as an Indian fighter (ante and postbellum), but he had an extensive (and I would say quite uneven by my reading) Civil War career as well. This period will be the subject of what I hope will be a very enlightening military biography published later this year. Paul Magid's George Crook: From the Redwoods to Appomattox (U of Okla Press) is scheduled for September. While browsing the Fall/Winter catalogs, I came across a little something for the Trans-Mississippi Civil War crowd. ASU grad student William Kiser will be publishing Turmoil on the Rio Grande: History of the Mesilla Valley, 1846-1865 with TAMU Press. According to a news clip from the school it "covers such topics as the Battle of Brazito (Mexican War); Treaty of Guadalupe Hidalgo; Gadsden Purchase; Apache Wars (antebellum); Confederate Invasion of New Mexico; Confederate Territory of Arizona; and Martial Law in southern N.M." The piece relates the author's description of the book as "essentially a military and political history of southern New Mexico." I look forward to it. Tate (ed. ): "COL. FRANK HUGER, C.S.A. : The Civil War Letters of a Confederate Artillery Officer"
Along with John Bankhead Magruder and Theophilus Holmes, Confederate Major General Benjamin Huger drew the ire of Robert E. Lee for his lackluster performance in the Seven Days Campaign and was banished to the great dumping ground of eastern theater command disappointments, the Trans-Mississippi department. But there were many more Hugers in Confederate service, including sons Benjamin Jr., Eustis, and Frank. 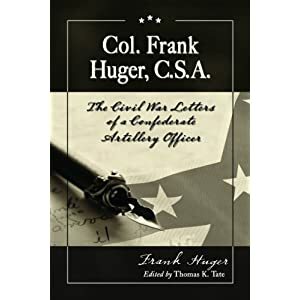 It is the letters of Frank Huger, as well as several others penned by his father and two older brothers, that comprise Col. Frank Huger, C.S.A. : The Civil War Letters of a Confederate Artillery Officer. West Point graduate Francis K. Huger commanded the Norfolk Light Artillery during many of the battles fought by the Army of Northern Virginia in 1862. Upon promotion to major in the spring of 1863, Huger was second in command of E.P. Alexander's artillery battalion of James Longstreet's First Corps. Sent out west to assist General Bragg's Army of Tennessee after Gettysburg, he missed Chickamauga but participated in the failed Knoxville Campaign. Returning to the Army of Northern Virginia the following spring, Huger fought nearly to the end, ultimately getting himself captured at Sailor's Creek in 1865. Unlike many officers that tended not to want to talk shop, Huger's letters do comment extensively on military matters in addition to the usual social banter and familial concerns one finds in letters addressed to close relatives. The most extensive letter in the collection describes his Sailor's Creek experience, but another particularly detailed piece of correspondences describes for his family the Overland and Petersburg campaigns. Huger also provides insights into fundamental problems of Confederate artillery ammunition, poor fuse and shell manufacture. In one letter he includes a drawing illustrating the inconsistent shell wall thicknesses he encountered. As one might imagine, such rifled projectiles flew wildly upon leaving the muzzle. In other places, Huger laments the abominable burst rate of his unit's shells. In one engagement, he counted only 2 out of 20 effective fuses. Other sections of the book contain letters from Benjamin, Benjamin Jr., and Eustis. These Trans-Mississippi letters highlight the supernumerary position that the family patriarch found himself in in Texas after his "exile" from the Virginia theater. The Huger patriarch generally found his advice on ordnance matters neither solicited nor listened to. In addition to a body of postwar Huger letters, several appendices provide additional ordnance reports and official correspondence. This is a great collection of letters from the Huger military family, the originals currently residing at the Virginia Historical Society archives. Aided by the apparent mentorship of Robert K. Krick, editor Thomas Tate's notes and commentary (mainly background information pertaining to persons and events mentioned in the letters) are helpful and thorough. The wartime role of Major General Benjamin Huger is often subjected to scorn in the Civil War literature, but his son Frank served throughout the war as a respected figure in the "long arm" of General Lee's army. In addition to highlighting the military contributions of the Huger family in general, Col. Frank Huger, C.S.A. should prove to also be of significant interest to Army of Northern Virginia artillery students. In a recent magazine review, Atlanta specialist Stephen Davis mentioned a pair of upcoming battle books worthy of anticipation by those sharing interest in the campaign. According to Davis, Georgia attorney Robert Jenkins is writing a Peachtree Creek (July 20, 1864) study and Blue Mountain College history professor Stewart Bennett is taking his own stab at the battle recently addressed brilliantly by Gary Ecelbarger, the July 22 Battle of Atlanta. Patrick: "CAMPAIGN FOR WILSON'S CREEK: The Fight for Missouri Begins"
Unlike many other prominent Trans-Mississippi theater campaigns, Wilson's Creek and the 1861 Missouri campaign have received a fairly decent amount of attention from publishers. An Account of the Battle of Wilson's Creek or Oak Hills by Holcombe and Adams first appeared in 1883. Ed Bearss's The Battle of Wilson's Creek, which has gone through many editions since 1961, remains perhaps the best tactical treatment, but the finest overall account of the battle is William G. Piston and Richard Hatcher's Wilson's Creek: The Second Battle of the Civil War and the Men Who Fought It (UNC Press, 2000). In terms of earlier events in the campaign, the running battle that preceded Wilson's Creek has been covered very well by David Hinze and Karen Farnham in their book The Battle Of Carthage: Border War In Southwest Missouri July 5, 1861 (Savas, 1997). The even earlier clash at Boonville, Missouri has been addressed well in Paul Rorvig's January 1992 Missouri Historical Review article "The Significant Skirmish: The Battle of Boonville, June 17, 1861". Most recently, James Denny and John Bradbury widely covered events from the first year of the war in The Civil War's First Blood: Missouri, 1854-1861 (Missouri Life, 2007). Finally, even though the title implies a concentration on the battle itself, William Riley Brooksher's Bloody Hill: The Civil War Battle of Wilson's Creek (Brassey's, 1995) provides instead a rather broad overview of the entire campaign. Bringing us to the present is Wilson's Creek National Battlefield librarian Jeff Patrick's Campaign for Wilson's Creek: The Fight for Missouri Begins. It is similar in scope to Brooksher's work but is a far better and deeper researched battle history and campaign overview. Patrick covers the entire length of Union General Nathaniel Lyon's 1861 Missouri campaign, from the Camp Jackson Affair through the Union army's retreat from Springfield in the wake of their Wilson's Creek defeat. Augmented by a dozen operational scale line drawings, the campaign movements of both sides, from St. Louis in the east to Cowskin Prairie in the extreme southwest corner of the state, are summarized in the text. While the character and results of the fighting at Boonville and Carthage are only briefly addressed, the planning and conduct of the Battle of Wilson's Creek is skillfully outlined at battalion and regimental levels of detail, and from the perspectives of both sides, although a better sense of the ebb and flow of the "Bloody Hill" fighting might have been achieved. In addition to integrating into his narrative the published experiences of celebrated witnesses and participants like journalist Franc Wilkie and infantryman Willie Tunnard of the 3rd Lousisiana, Patrick also injects quoted correspondence and memoir observances from many less well known figures. As with other volumes in the series, biographical sidebars are sprinkled throughout the book. Created by historian and cartographer Donald Frazier, the six Wilson's Creek battlefield maps provide an excellent rendering of the terrain, as well as full representations of unit positions and movements. While readers familiar with the campaign literature will not find much in the way of significant revelation, there are some surprises offered. For instance, I was not aware that a large proportion of Colonel Franz Sigel's infantry and artillery ranks were filled with brand new soldiers recruited to replace those discharged during the brief period between Carthage and Wilson's Creek. In some cases, two-thirds of the officers were new to the job. This provides a new lens through which to help explain the brigade's poor performance, notwithstanding Sigel's inept Telegraph Road deployment. The author is also more forgiving than prior writers and historians of John C. Fremont's perceived lack of support for Lyon, recognizing that the Pathfinder was responsible for a large department with other pressing military concerns, primarily the defenses of St. Louis and Cairo. According to Patrick, there is some evidence of Fremont's ordering of three regiments to Lyon's aid, though none reached him. Jeff Patrick's Campaign for Wilson's Creek is arguably the best overview of the campaign to date, and easily one of the most impressive volumes to appear from the publisher's Civil War Campaigns and Commanders series. It is highly recommended reading for students of the early fighting in Missouri, novices and veterans to the subject matter alike. 1. Cavaliers of the Brush: Quantrill and his Men edited by Michael E. Banasik (Press of the Camp Pope Bookshop, 2003). The purchase of this one (Volume V) completes my collection of the Unwritten Chapters of the Civil War West of the River series. This is an annotated collection of Confederate views (mainly southern newspaper accounts) of Quantrill's guerrillas and their activities. As with other books from the series, extensive resource appendices are included. 2. Last to Leave the Field: The Life and Letters of First Sergeant Ambrose Henry Hayward, 28th Pennsylvania Volunteers edited by Timothy J. Orr (Univ of Tenn Pr, 2011). A new volume from the Voices of the Civil War series, Sgt. Hayward's letters cover his experiences first in the east and then in the western theater beginning with the Chattanooga Campaign. He was mortally wounded in Georgia during the June 1864 Gilgal Church battle. McKnight: "CONFEDERATE OUTLAW: Champ Ferguson and the Civil War in Appalachia"
Equally comfortable cooperating with regular Confederate forces as killing unarmed former friends in their beds, Kentucky farmer Champ Ferguson may very well be responsible for more face to face killings than any other Civil War figure. In bands ranging in size from a handful of men to well over a hundred, Ferguson built an infamous reputation across a swath of adjoining border counties in south central Kentucky and north central Tennessee. Brian McKnight's Confederate Outlaw is the second Ferguson biography to appear within the last three years, the other being Thomas Mays's Cumberland Blood: Champ Ferguson's Civil War (SIU Press, 2008). In his informative introduction to Confederate Outlaw, McKnight addresses critically the Ferguson literature up to the present day. Much space is devoted to highlighting differences between the work of Mays and his own. He rejects as lacking evidence Mays's contention that multigenerational motivations were at work in Ferguson's mind, but much of the interpretive conflicts between the two works appear to be matters of degree. McKnight offers an answer to Mays's perplexity over just why a successful farmer would elect to become an ultra violent guerrilla. He roots Ferguson's actions in the concept of social status anxiety, a pragmatic response to societal upheaval with heavy currents of paranoia. Indeed, Ferguson consistently defended his wartime actions as self defense, claiming his victims were hunting him and would have acted the same if they had caught him. There is an element of truth in this, but many of his killings were completely unjustifiable even when viewed in the context created by Ferguson. One problem with this thesis seems to be that participation in Civil War guerrilla activities tended to increase chaos and direct it in unpredictable often negative ways [a concept brilliantly presented in various works by historian Daniel Sutherland], the opposite result of what a status quo preserving individual would seek. On the other hand, participants at the time did not know how this would turn out, even though many prominent Confederate military and civilian leaders had such reservations in mind when opposing the Partisan Ranger Act of 1862. In addition to analyzing issues of motivation, the book also examines Ferguson's killings in great detail. Much of the information comes from newspaper interviews with Ferguson himself (which were often contradictory) and fiercely partisan unionist writings such as J.A. Brents's The Patriots and Guerrillas of East Tennessee and Kentucky, but McKnight diligently combed archives, government records, newspapers, and published primary source materials as well as a multitude of secondary works in order to construct the most balanced and full picture of these events currently available in print. McKnight also highlights the dual nature of Ferguson's participation in the war. Adept at fighting on his own hook, the guerrilla was also able to attach himself usefully to regular Confederate mounted forces led by men such as John Hunt Morgan, Basil Duke, and George Dibrell. One of his most notorious acts, the killing of wounded Union prisoners after the October 1864 Battle of Saltville, occurred during one of these interludes. In this section of the book, the author strongly disagrees with William Marvel's interpretation of the facts surrounding the "Saltville Massacre". When the subject of guerrilla warfare in Tennessee is raised, the eastern section of the state is the geographical region most often discussed. McKnight deserves credit for bringing the northern and more centrally located part of the Volunteer State in focus. The actions of other pro-Southern irregulars in those counties are described in the book as well as those of unionist guerrillas like Ferguson nemesis David "Tinker Dave" Beatty. Counterguerrilla operations conducted by regular union formations are also summarized. Indeed, one hopes for a scholarly Beatty monograph to appear someday in the future, as the sustained attention paid to Ferguson reinforces the popular perception that bushwhacking was the domain of Confederate sympathizers. Ferguson's trial and execution are treated fully in Confederate Outlaw. The trial result was never really in doubt, but Ferguson's own statements often made him his own worst enemy. The political aspects of the trial are also delved into. All the major Ferguson biographies rely heavily on the many newspaper interviews conducted with the guerrilla during his imprisonment and trial, but McKnight's research and investigation is clearly the most thorough yet. The actions of Ferguson before and during the Civil War, and the details of his trial, are presented in far greater depth in Confederate Outlaw than both Cumberland Blood and the first and most sympathetic of the three toward its subject, Champ Ferguson, Confederate Guerrilla by Thurman Sensing (Vanderbilt U. Press, 1942). Confederate Outlaw is highly recommended reading for those seeking the best modern biographical treatment of Champ Ferguson's life and bloody Civil War career. The book's characterization of the guerrilla conflict along the middle Tennessee-Kentucky border is also particularly insightful. Listening to the latest CWTR program, I was interested to hear of Josh Howard's project (with Mark Moore) to create a Sesquicentennial inspired North Carolina campaign and battle atlas accompanied by a statistical analysis of the demographic material compiled by the team currently at work (re)counting the numbers of Tar Heel dead. They are currently in talks with University of North Carolina Press to published the study. According to Howard, the current death total stands at more than 32,000 and he expects it to reach a figure in the area of 35,000 by the time the project is completed. 1. 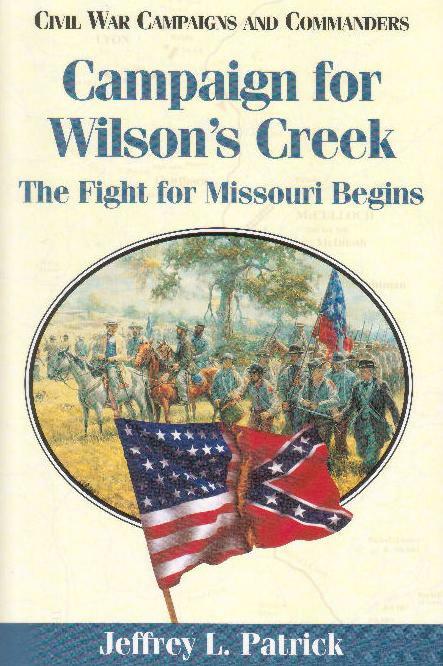 Campaign for Wilson's Creek: The Fight for Missouri Begins by Jeffrey L. Patrick (McWhiney Foundation Pr, 2011). With years passing and a succession of release dates missed, I was concerned this book was never going to appear. I don't know if it will offer a significant amount of new information above and beyond that contained in the Bearss and Piston/Hatcher studies, but Jeff Patrick, the librarian at Wilson's Creek NBF, is a fine historian in his own right. The book itself is annotated [but no bibliography] and over twice the size of the typical Civil War Campaigns and Commanders series title. 18 maps are included with 12 plotting the course of the 1861 Missouri campaign in 1-3 day intervals, and the remaining covering the battle itself. The tactical battlefield maps are superb. Lockwood & Lockwood: "THE SIEGE OF WASHINGTON: The Untold Story of the Twelve Days That Shook the Union"
Oxford is one of the few, perhaps the only, university press currently publishing the full range of Civil War literature, from popular history to specialist monographs. The Siege of Washington, by brothers John and Charles Lockwood, is perhaps best categorized among the former. The pair certainly construct an engrossing narrative, infusing it with countless stories detailing the anxiety and panic felt among resident black and white civilians, newspapermen, government workers, soldiers, and politicians. Among the seemingly few individuals with level heads were General-in-Chief Winfield Scott and Inspector General of the District of Columbia militia Colonel Charles P. Stone, the latter ably arranging the capital defenses. In setting the popular mood, the authors allow rumors and plots of invading Confederate, Virginia, and Maryland hordes to pervade their narrative. The effect of this is to place the reader among the denizens of the city during the period April 14-25, without the benefit of hindsight, and get a feel for the emotional highs and lows felt by the District population between the surrender of Fort Sumter and the arrival in Washington of the first regiments of northern volunteers. 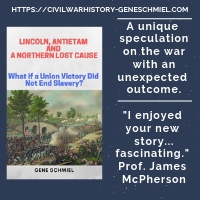 It is often very melodramatic, and this excitement will undoubtedly appeal to the more general interest Civil War history reader. However, those less averse to having the wet blanket of reality thrown over a good story will find less satisfaction until the epilogue is reached. Here, the authors admit to what many readers already know, that there never were any serious plans by responsible heads of secessionist militias or Confederate forces to seize Washington. The Lockwoods do seem less ready to concede that the city was never under siege, which is understandable given how often the term is misused [the book's title is unfortunate in this regard]. Although there were temporary food shortages and a banking crisis, the tearing up of railroad track and telegraph lines by roving mobs and packets of Maryland militia does not constitute a siege, and no northern volunteer regiments moving through the countryside outside of Baltimore were directly confronted on their way to Washington. Virginia state forces were ordered to remain within their borders and the Potomac River itself was also never blockaded, then or later, as the excellent work of historian Mary Alice Wills has amply demonstrated. In its depiction of the rumors, events, and popular attitudes prevalent during the twelve days following April 14, 1861, The Siege of Washington succeeds as an exercise in the 'you-are-there' reading experience. Whether it ultimately serves to further the mythologizing of these events will likely depend upon the background of the reader. 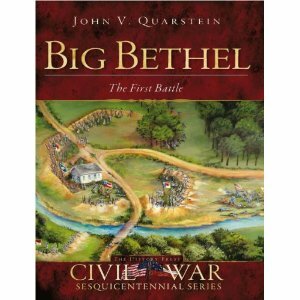 I've been hoping for some time for a book length study of the 1861 Battle of Big Bethel to emerge. It appears the wait is over. Later this month, frequent Civil War on the Virginia Peninsula writer John Quarstein's new book Big Bethel: The First Battle will be published by The History Press. The Civil War Sesquicentennial Series "battle books" are a fairly uneven bunch, with synthetic works directed at general readers on one hand and carefully annotated, deeply researched, and impressively mapped studies on the other. I don't know which category this one will fall into. Hopefully, a table of contents will be added to the listing soon. I like that folk art cover image. Ponce (ed. ): "KANSAS'S WAR: The Civil War in Documents"
Kansas's War is the fourth volume from OUP's The Civil War in the Great Interior series, with previous works covering the states of Ohio, Indiana, and Missouri. Historian Pearl Ponce's compilation of documents is the richest trove yet, bringing together newspaper articles; private diaries and letters; official records, reports, and correspondence; and interviews. She begins with Kansas's turbulent territorial origins and ends with events from the latter part of the nineteenth century such as the Exoduster movement. In terms of its conflict with Missouri before and during the Civil War, the state's role remains controversial to this day, and Ponce's selections demonstrate an expert level mastery of the relevant literature and her own editorial writings have a suitably disinterested tone. Along with abolitionist triumphalism, there is abundant documentation of Kansan political and financial corruption, jayhawking, and murder. A key figure in all of this was Senator James Lane and a host of writings are devoted to his heavy handed attempts at wielding power and patronage privileges in the state. As with the other volumes, this one is sub-divided into thematic headings, each followed by a short introductory passage written by the editor. Kansas's War has nine such chapters, covering (1) settlement and the factional fighting between pro- and anti-slavery settlers, (2) early statehood, (3) patronage issues, (4) Kansas's Union soldiery, (5) Civil War border warfare, (6) Kansas's wartime anti-slavery stance and black enlistment, (7) corruption and prosperity amidst war, (8) creation of Indian Home Guard units and Kansas's role in pacifying the Plains, and finally (9) the post war arrival of the railroad and black emigration. Ponce also precedes each document with a brief contextual summary. All the bases are unusually well covered for a work of this type. Kansas outfitted in Union blue a far higher percentage of its military age population than any other state, so perhaps it is fitting that the Kansas series entry has significantly more military related primary documents than previous volumes. There are around a dozen select collections of soldier letters and/or diaries detailing experiences fighting Indians on the plains, guerrillas in Missouri, and Confederate armies in the western theater, as well as officering Kansas Colored and Indian Home Guard regiments. Among the campaigns and battles described in these documents are Island Mound, Chickamauga, Poison Spring, Honey Springs, and the 1864 Price Raid. Together, they convey a full cross section of the types of fighting that Kansas troops endured as well as the vast geographical scope of their involvement. A Kansas event timeline, a set of discussion questions geared to each chapter, a select bibliography, and an index round out the volume. 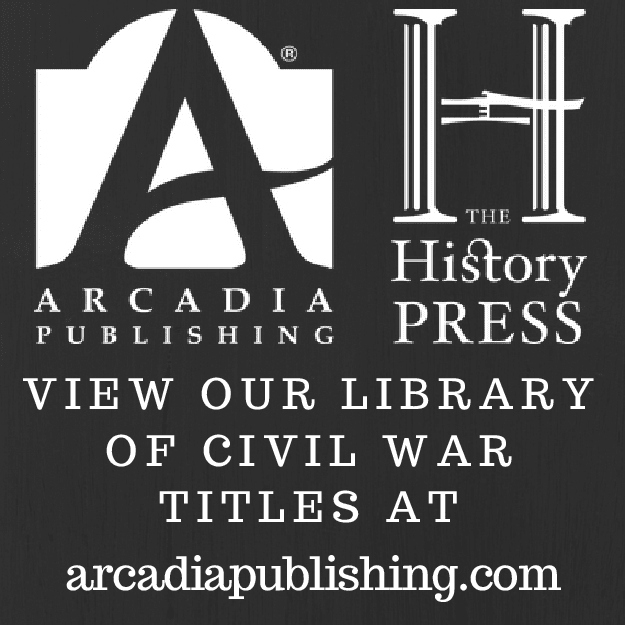 A skillful selection of historical documents spanning the decades before, during, and after the Civil War, Kansas's War is a great introductory resource for college level classrooms and libraries. 1. An Illustrated Guide to Virginia's Confederate Monuments by Timothy S. Sedore (SIU Press, 2011). 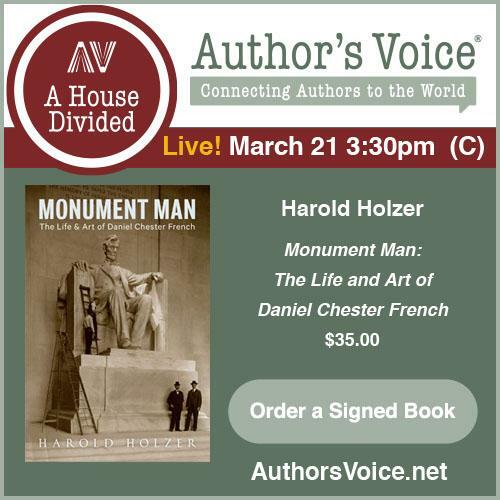 This book documents 360 monument sites and organizes them geographically. For each, the author includes a photo, location, inscription, and construction information, as well as subject background history. 2. The Crimean War: A History by Orlando Figes (Henry Holt, 2011). I've been meaning to read some kind of single volume treatment of the entire Crimean War. This one looks good, although the maps leave something to be desired. Thompson (ed. 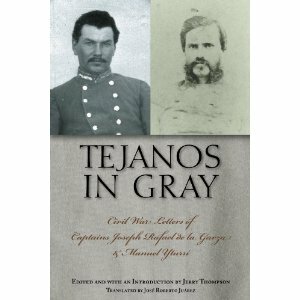 ): "TEJANOS IN GRAY: Civil War Letters of Captains Joseph Rafael de la Garza and Manuel Yturri"
According to editor Jerry Thompson, in his introduction to Tejanos in Gray: Civil War Letters of Captains Joseph Rafael de la Garza and Manuel Yturri, the de la Garza and Yturri letters are the most valuable set of existing writings by Texan Civil War soldiers of Hispanic descent. As he is perhaps the premier historian of the Civil War in the Southwest and the most prominent researcher of the approximately 4,000 Tejano Union and Confederate soldiers, Thompson's opinion carries significant weight. While the experiences of enlisted men were lost to history through shoddy paperwork and widespread illiteracy, de la Garza and Yturri were bilingual, college educated, and from prominent Texas landowning families. Although their surviving letters do not specifically state why they attached themselves to the Confederate cause, Thompson surmises that family intermarriage with secession-sympathizing Anglos played a role. Yturri himself married de la Garza's older sister. Both men joined the second wave of Confederate recruiting, serving with the 6th Texas Infantry in the Western Sub-District of Texas. De la Garza later transferred to the 33rd Texas Cavalry before accepting a captaincy in the 3rd Texas Infantry. Neither saw sustained combat on the scale seen by those fighting in the eastern and western theaters, and both were absent for the 1863 Arkansas Post surrender. Nevertheless, de la Garza was killed in Louisiana during the April 8, 1864 Battle of Mansfield. Yturri survived the war, prospered, and lived well into old age. Readers expecting to read extensive passages describing various skirmishes and battles won't find much. There are the usual camp, picket, and march details, but there is really one one battle piece. By Yturri, it relates what he saw of the 1864 Battle of Jenkins Ferry. However, it is apparent from the large gaps between dates that many letters are missing, so perhaps others existed at some time. Instead, the writings of both men are intensely family focused, inquiring after the health and doings of friends and relatives, and offering their wives financial and child rearing advice. A constant refrain, common to Civil War soldiers on all fronts, is the lament of not receiving return letters [these brothers-in-law appear to have been particularly afflicted, perhaps victims of a less than stellar Trans-Mississippi mail service]. As with his other edited works, Thompson's editorial and source notes accompanying the letters are of immense help in sorting out the many persons, places, and events mentioned in the text. The product of diligent research in manuscript repositories, service and other government records, church files, newspapers, books and articles, the endnotes are extensive (some a full page in length) and often make for fascinating reading in their own right. Given the high quality of Thompson's work and the fact that similarly themed publications are almost entirely absent from the literature, Tejanos in Gray is highly recommended reading for those interested in the Mexican-Texan contribution to the Confederate cause, as well as the Civil War in Texas in general.